Prepare to go into Hyperdrive!! No, wait. I’m sorry…Hyperdive. Yes, a play on words somewhat, but in my latest review we take a look at the Strider Hyperdive. 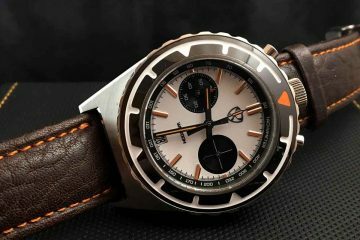 The Hyperdive is the first release from Strider Watch LTD, a new brand that is designed by Jim Skelton. Please take a look at this very comprehensive video (20 minutes), where I cover a lot of detail and point out as much about the watch and its origins as I can. For many that know Jim Skelton, he has had a love for watches for decades and has sold watches on TV and online as his primary job. Jim has designed watches, or had input, for other companies in the past, and for a few years he has been wanting to start his own brand. And this year that finally came to realization, and he started Strider Watches (The name Strider is after his second son). So, we have another new micro brand on the watch front. How does it stack up? I have been wearing the Hyperdive on and off for a few weeks now. I have worn it on the bracelet, with various straps of my own, and of course, examining it as I do with all watches I review. I can honestly say the Hyperdive stacks right up there with some of the best mid range micros that are in the market. The Hyperdive is currently selling for $500 USD, and at that price, and for what it offers, is truly a bargain. What a disgrace. China produced watch with Built in USA on the dial. Why did you ignore this? I didn’t ignore this, I state specifically in the article that it was China manufactured and assembled in the USA. I am guessing you don’t like the wording on the dial of USA built and I agree it might lead one to think it is manufactured in the US. 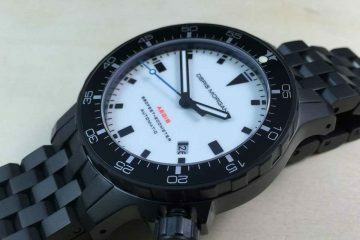 Strider Watches does not hide the fact it is China manufactured at all, but maybe could have gone with USA assembled on the case back and left the wording off the dial. In the end, it is still designed in the USA and assembled here, much like Lum-tec does. Thanks for the reply. I still think it’s an attempt to muddy the waters by the designer. I googled the website and looked at a bunch of pictures of the watch and no where is China mentioned. The only marking that would indicate country of origin says Built in USA. Kind of misleading, especially because it’s on the dial. I also couldn’t find that Lum-tec did this. Oh well. I won’t be buying, so whatever will be will be. Thanks for the review. 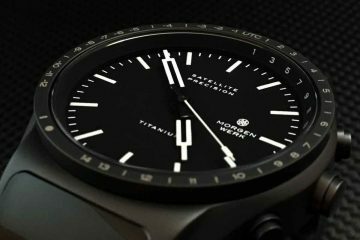 Well I think that was a great review of the watch I don’t mind if it was built in china at all wish there was a retailer who sold them in the uk so we did not have to pay hi import tax.Have had a look at the lume looks great. I bought it … (025/175) what a watch…. 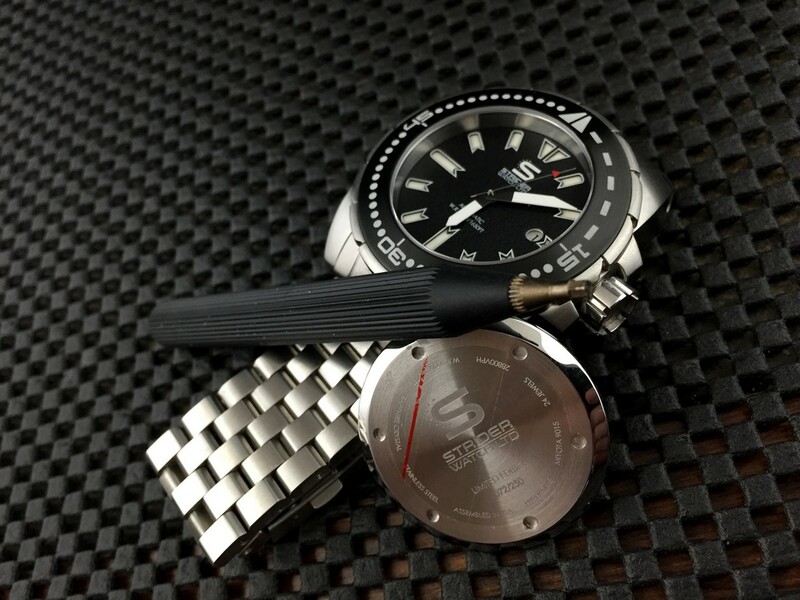 well made…Thanks Jim for your commitment in making an awesome watch. 1. The watch should be calibrated to +/- 5 seconds per day ( Miyota 9015 automatic movement, will be adjusted in-house to run within 5 spd) . Upon receiving, put watch on the timegrapher and it’s ahead +16 seconds per day. 2. “All markings are white in the light, then glow green (C3) or Blue (BGW9)” . On the watch I received, all markings glow green (C3) only. No Blue glow. I appreciate your concern, and I did receive your email. Customer Service will be contacting you soon. I was surprised that we did not get the opportunity to reply to you before you posted this. The accuracy issue is easily remedied, and we do strive to ship all running within 5spd. As to the Superluminova, there is absolutely no misrepresentation. You can easily see in this review, and the hundreds of customers who have posted their lume shots on Facebook, Instagram and watch forums that every watch gets BGW9 and C3 applications. When we regulate your watch, I will be looking at your lume to see if somehow, someway ONE single watch came through with the wrong lume application. It is extremely unlikely, but anything can happen I suppose. Please allow us to contact you to resolve. Thank you. Thank you for you respond. And both watches running ahead +12 to +16 seconds per day , depend on which position they are. There are accuracy (calibration) problem with all four, plus AD800ABU has issue with case back screws damaged and pinched gasket sticking out. Probably, casing cover were not assembled properly and screws were overtorqued. And AD720AK lagging 26 seconds per day which is does not match ETA2824 performance. All together just on these three orders I spent over $2000. Plus around of $140 COD fees. Would you contact me directly onto this email address to solve issues. Jim, Were issues expressed to Jim Skelton ( re: Strider Hyperdive watch) dealt with in a manner which met your approval?